All of the work that we do in providing support, rehabilitation and re-homing for Italian Greyhounds in need is funded by voluntary donations and our other fundraising programmes. All donations from Friends of the Rescue and our other supporters are gratefully received no matter how small or large. Please note, the Italian Greyhound Rescue Charity does not use cash or street collections. 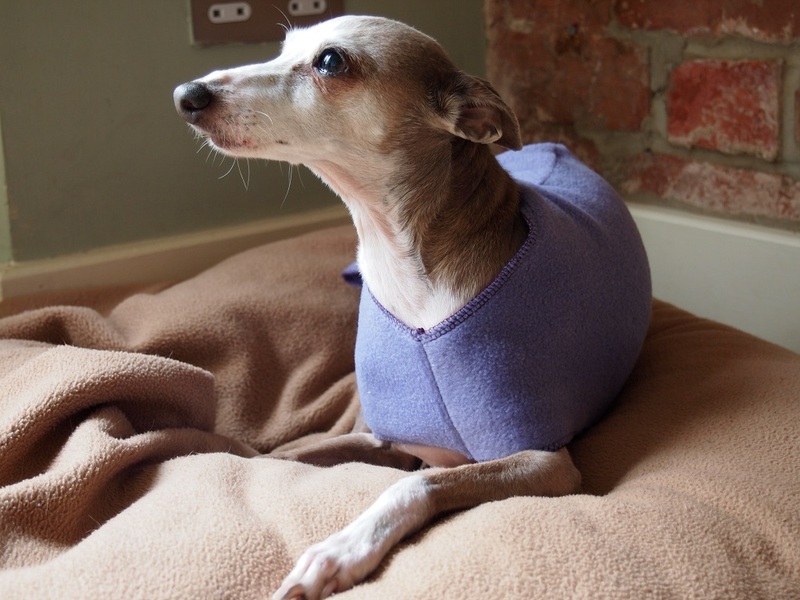 Italian Greyhound, Lucy has very kind owners who came up with a super fundraising idea in 2014. 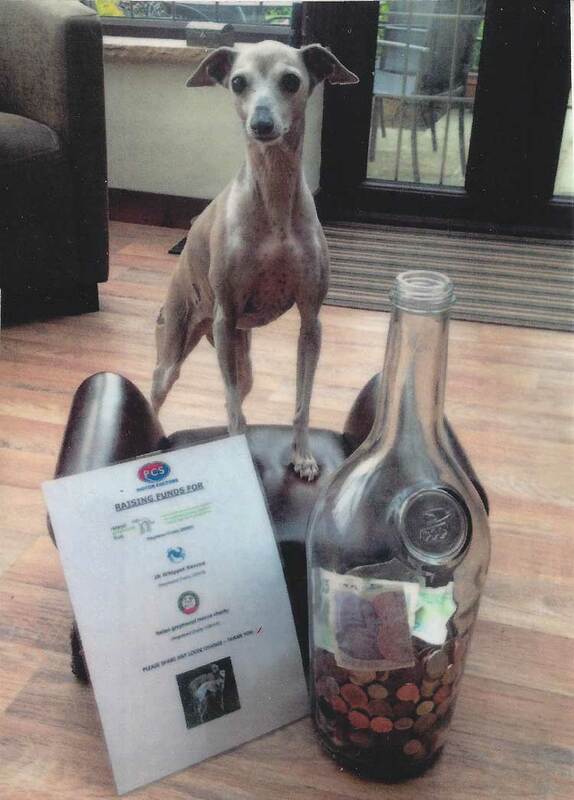 They placed a large empty Brandy bottle on the sales counter of their business, PCS Motor Factors of Clay Cross in Derbyshire, inviting staff and customers to donate any spare change, which has resulted in a super donation of £100 to IG Rescue. And in 2015 they have beaten their previous total and have generously donated £120. If you are a UK tax payer, don’t forget to Gift Aid your donation – it means that we can claim back an extra 25p for every £1 donated – a great boost to our fighting fund! Download the Make A Donation Form or you can make a donation via PayPal by clicking on the button below.